License #17STR-10267 I enjoy speaking with potential renters so please call, Lisa 504 905 3056. This carriage house in the rear of a Main Residence. NO LIVING ROOM. I turned the living room into the 3rd bedroom with two twin beds and there is a full bathroom between it and the kitchen. There are two Bedrooms upstairs with one bathroom in-between; one King bedroom and one Queen bedroom. The furniture is eclectic and the rooms are small, bright and clean. The kitchen has washer dryer in it. There is a brick patio that is shared with the main house. I Am a local architect. 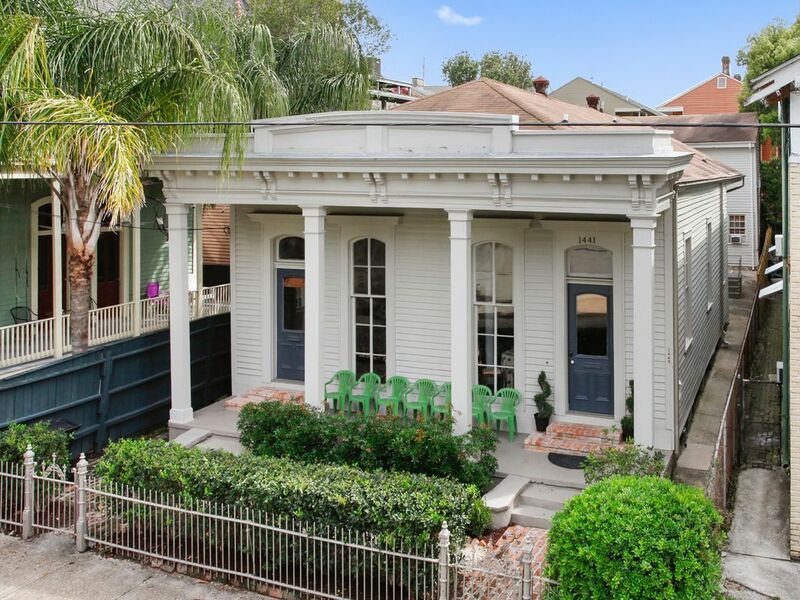 Top 5 most beautiful houses for rent in New Orleans! This house was great and Lisa was wonderful. Location was awesome. One block up was the St Charles Street car, and about 5 blocks away was the bus on Magazine. This location was perfect. We were able to get everywhere we wanted on public transportation. House was perfect for us since we really only slept there. I would stay here again on our next visit for sure. We had a wonderful stay. Our hostess was very attentive and hospitable. The description of the property was spot on and met our expectations. Great location and had everything we needed. Last minute long weekend, location was perfect and the cottage was perfect for the kids. Thank you very much! Perfect for extra large groups. We booked this in addition to the main house. It is exactly what we needed, which was more beds for our group of 15. Even though the living room was converted to a bedroom there was plenty of room in the kitchen for us to sit around. We got the carriage house for a place to sleep. It had great character, was clean and we loved the decor! We would gladly stay there again!